Hey! 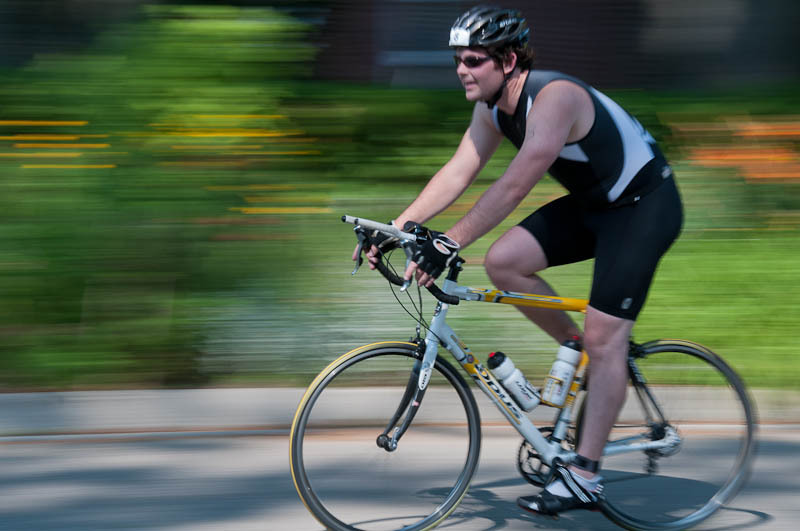 Chris completed the Olympic distance triathlon this morning in Gravenhurst; 1500m Swim | 40km Bike | 10km Run. It’s definitely the coolest of any triathlon because all competitors are taken out on the Segwun and the Wenonah II to begin the swim! 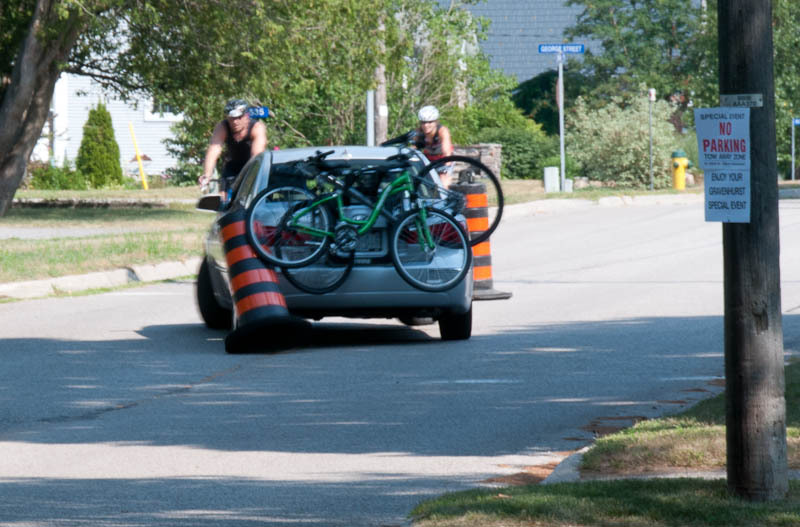 I was preparing to catch Chris ride by on his bike when I snapped a photo of the guy, who managed to catch one of the pylons with the bikes on his bikerack. He must’ve been heading for the auditions for Canada’s Worst Driver, or I’m sure he would have stopped and picked it up. Here’s Chris with just a couple of blocks to go to Muskoka Wharf and the dismount for a 10k run. Energy left for the run? Not so much. That’s the important part – have enough for a kick so you look good at the finish line. Better to look good than to feel good.